I love Pinterest for so many reasons. It provides tons of inspiration, a place to store and organize photos, ideas, recipes, tips, party ideas...I could go on and on. I'm sure you feel the same way. 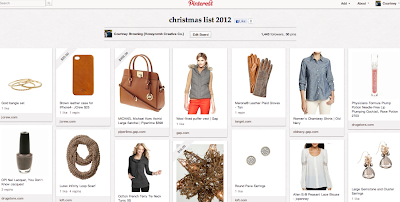 One thing I've found it to be particularly useful for is creating gift lists. I used Pinterest last Christmas and for my birthday to create one list I could easily send to friends and family. That way the links and info were built right in and all they had to do was click. 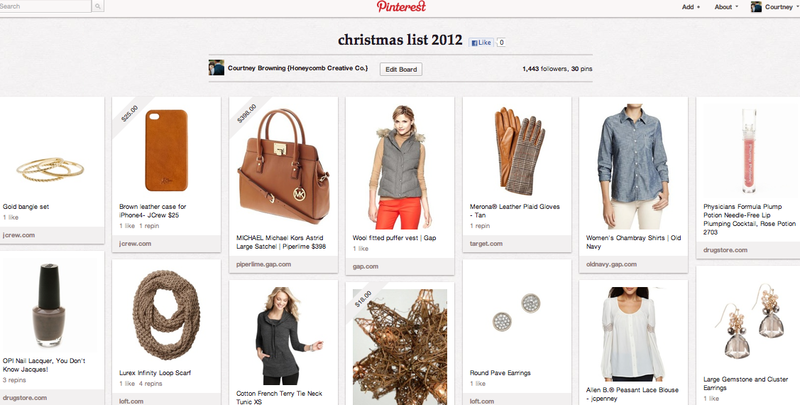 Do you use Pinterest for wish lists? What's on your most-wanted list this year? Do tell!